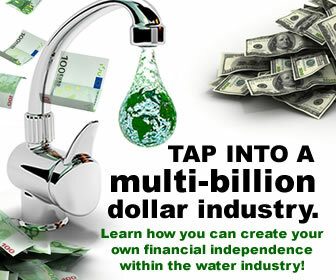 World’s Leading Gastroenterologists Promotes a Healthy Diet and Kangen Water for Good Reason! He pioneered the Shinya Technique; the now-standard procedure for the removal of polyps from the colon without invasive surgery. Dr. Shinya is Chief of the Surgical Endoscopy Unit at New York’s Beth Israel Medical Center, and Clinical Professor of Surgery at the Albert Einstein College of Medicine also in New York. Dr. Shinya published The Enzyme Factor in Japan back in 2005. Has partaken in 300,000 colonoscopy procedures. Has developed an Exact Science for Colon Health. Dr. Shinya, MD, is probably best recognized for his invention of the colonoscopy. He is world renown for his work and first hand accounts of diet and the colon. He has authored such books as “The Enzyme Factor” and “The Microbe Factor” that has sold millions of copies in the United States, Japan and other countries. He is a big believer and promoter of preventative medicine through diet and Kangen Water. Two years after Shinya started examining stomachs & intestines with a scope he started asking his patients about their dietary history. There were huge differences in the intestines he saw–the healthy ones were clean, soft, pink, with transparent mucous, invisible blood vessels, and uniform folds. The unhealthy ones were swollen, spotty, with thin stomach linings, shriveled mucosa, unequal folds, pocket-like cavities that were often ulcerated, pitted, filled with mucous, as well as stagnant stool. Achieving Total Health – The Shinya Way! Well, because whether one has a genetic predisposition toward heart disease, diabetes, colon cancer, prostate cancer, Crohn’s disease, ulcerative colitis, or kidney disease—it’s your diet and lifestyle habits that will be the switch that turns on the disease or the switch to turn off the disease. 4. Good Water is essential for your health. Drink “good water” Kangen Water keeps the body at an optimal alkaline pH Adults should drink at least 6-10 cups of water every day Drink 1-3 cups of water after waking up in the morning Drink 2-3 cups of water about one hour before each meal. 6. Decrease dependence on prescription drugs by modifying your diet & getting exercise when possible Pharmaceuticals can tax the liver and kidneys. Many chronic conditions such as arthritis, gout, diabetes, and osteoporosis can be managed with diet and exercise. 7. Minerals are important to health Magnesium activates hundreds of different enzymes–and is required for good health. A balance of sodium & potassium is a prerequisite for life. Laxatives, diarrhea, excessive exercise can deplete sodium. A diet high in vegetables boosts potassium. Too much calcium after middle age can be harmful Small amounts of trace minerals work synergistically with vitamins, minerals, and enzymes: boron, copper, zinc, iron, selenium, chromium, manganese, molybdenum, & iodine. 9. Adequate Rest – Shinya is a daily napper, so he goes to bed at the same time every night and gets six to eight hours of uninterrupted sleep. If you are hungry or thirsty, a small piece of fruit may be eaten one hour before retiring, as it will digest quickly. Take a short nap of about 30 minutes after lunch. 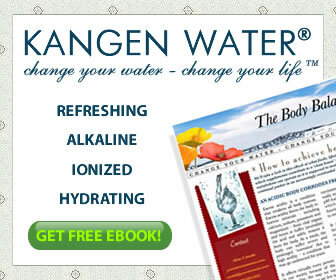 This entry was posted in Kangen Water and tagged Dr Shinya, kangen water. Bookmark the permalink.